For long term fans of Morthound the prospect of a new album was a wish which had long ago been abandoned; particularly given the Morthound name had been put to rest in 1994 when Benny ‘BJ’ Nilsen then forged headlong into more experimental realms (…opting to release albums for a number of years under the Hazard moniker before continuing on under his own name). Yet not to let the project fall in to obscurity, Raubbau were good enough to give the complete back catalogue a reissue treatment in 2014 (reviewed here). Noting there were a couple of live shows to celebrate this release, this evidently provided the inspirational spark for Benny to reactive the Morthound name and to record music of a darker hue. 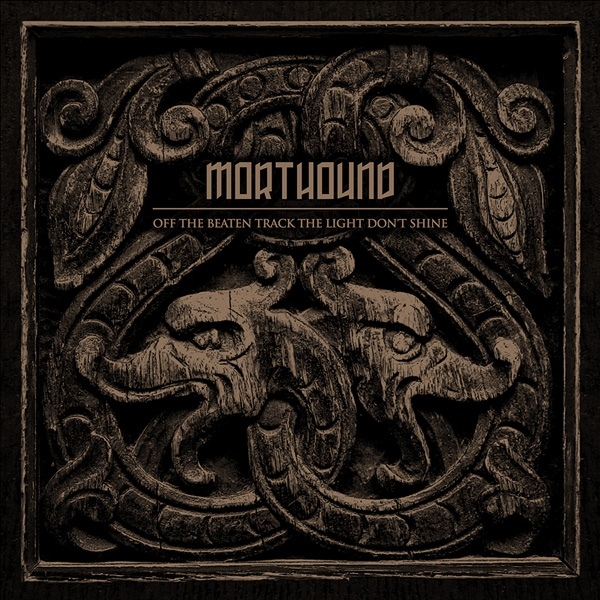 Obviously this then lead to some interesting speculation of exactly what may be encompassed on this new album, given if anything was to be gleaned from Morthound’s back-catalogue is its sheer stylistic diversity (…if not all out sonic schizophrenia). Starting with the fast paced and slightly disorientating metronome ticking of ‘The Device’, this opening movement soon delves headlong into foreboding dark ambient realms of grinding mechanical drones and sub-harmonic orchestral textures (…a fine introduction indeed). The following ‘Between Midnight and Dawn’ then follows as an 11.5 minute journey through twilight realms and is as nightmarishly tinged as the titles might suggest, including abstract horror styled strings and later continually swirling and morphing tense bass layers. ‘The Munich Manual’ is then notable for its beautifully rendered soundscape style, which has a very filmic ‘sound design’ feel based on the depth and clarity of the sound production. Following a divergent path, the spitting, static infused ‘Disquieted’ is an experiment in tone and sound, which mid-piece morphs into a shuddering industrial-noise composition, complete with semi-buried but entirely mangled spoken vocalisations. ‘Disembodied Voices’ then represents an excursion into subtle and minimalist bass drone territories, with slow morphing tonal washes and rhythmic formations which subtly shift over its length. Choosing to finish the album on an ethereal high note, the final of the 6 track ‘The Black Forest’ revisits the ethno-ambient sound of ‘Spindrift’, where the driving but understated tabla percussion is underscored by maudlin ethnic tinged synth washes to create a rather transcendent album conclusion. At a mere 47 minutes it is not a long album, but equally ‘Off The Beaten Track The Light Don’t Shine’ represents a strong comeback which comfortably sits within a mid-point between Benny’s musical output to date. Given the stark diversity and difference between each Morthound album to date, this new album continues in that tradition. Without doubt it makes clear nods to the darkly hued dark ambient of years prior and also includes a perhaps obligatory ethno ambient track. Likewise the production is reflective of the more academic and experimental recordings of more recent years, meaning it amounts to more than a mere retread of what has come before, whilst also being faithful to the Morthound legacy. Currently there is no clarity around whether Benny intends for Morthound to continue beyond this point, but given there was a massive 21 year gap between this and the last Morthound album, perhaps it is best to not yet pine for another album just yet – rather simply enjoy it for whatever it may be if it ever eventuates. The label Rabbau seems to be similar to myself, in that they have a soft spot if not all out obsession for early 1990’s Swedish industrial obscurities. 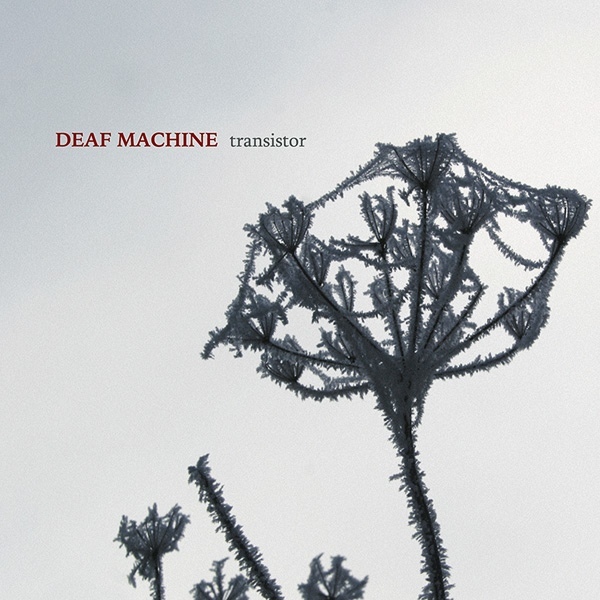 Deaf Machine is one such project whom were a short lived project of Mikael Svensson who was also a founding member of Megaptera before his departure leaving Peter Nyström to carry on. 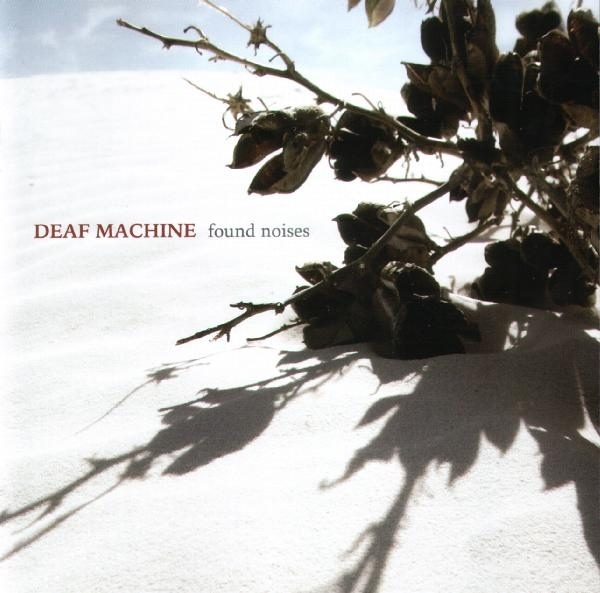 Deaf Machine also have a loose connection with the early era of the Cold Meat Industry label, noting that two of their tracks where included on ‘In the Butcher’s Backyard’ compilation from 1993. In order to prevent Deaf Machine from languishing in total obscurity, Raubbau have taken the initiative to release the complete recordings of Deaf Machine (spanning 2 separate CD’s). ‘Transistor’ was the first recording from the project and given the original tape was issued in 1992 in only 10 copies it gives an indication of exactly how obscure the project was and no doubt this re-release will be the means for many to hear this music for the first time. Looking back at the context of when this material was released, this was during a time when the Swedish death industrial sound was in its infancy and its key hallmarks were still being bedded down. Likewise given its obscure muffled sound, and occasional scattered micro-tonal elements, there is partial a degree of affinity here with a ‘post-mortem’ style. Thus ‘Transistor’ inhabits a loose analog sound, primarily built on fuzzed out radio static, cavernous bass addled tones, morbid tonal pulsations and slow thumping industrial rhythms, whilst on occasion radio songs and news reports randomly bleed into the mix. Given the newly designed cover imagery features ice covered plants and frozen landscapes, it is a suitable representation of the cold industrial soundscapes found within. The cover also features liner notes include text provided by scene notables Jason Mantis, Kyle Wright and Bauke van der Wal (among others) which provides context to the early impact of the group. The second CD ‘Found Noises’ functions to collect together all remaining recordings from the group, which includes: 5 tracks from a 1992 split tape with Instant Cold Commando (2 of these tracks were also featured on the Cold Meat Industry ‘In The Butchers Backyard’ compilation); 1 track from 1995 on Harmonie’s Le Cénacle cassette compilation; 1 track from 1994 on Slaughter Productions Death Odors CD compilation; and 1 unreleased track (year unlisted). For the sound of ‘Found Noises’ it follows the established stylistic template, however has been slightly honed in focus and execution to inhabit a darker and more forceful hue (whereas ‘Transistor’ was slightly more experimental in guise). Radio chatter is still sporadically used, but the darker sound is augmented with garbled, chanted vocals and slow thrummed bass to bulk out the lower end of the sound. ‘Reaction’ is a particular stand-out, with it muffled echoed soundscape and semi-buried maudlin synth line, while the movie dialogue samples and grinding death industrial sounds of ‘At The End’ and ‘Silent Intruder’ also draws parallels to the early works of Megaptera. ‘Injection’ is the most divergent piece on offer with its focused electronic programming, while the final album track (and seemingly the final recording for the project) comes in the form of ‘Final Destination, which was originally featured on the now classic ‘Death Odors compilation. Here the extended track is a great example of a mechanically driven, rhythmic death industrial soundscape, with floating layered synths etc. and showed much promise from a project which for whatever reason simply did not continue further (the cover includes a short interview with Mikael Svensson which covers the reason why). With both CD’s representing a history lesson on one of the obscurest projects of the Swedish death industrial sound, Raubbau should be commended for resurrecting these recordings and issuing these albums for both posterity’s sake and general listening pleasure. 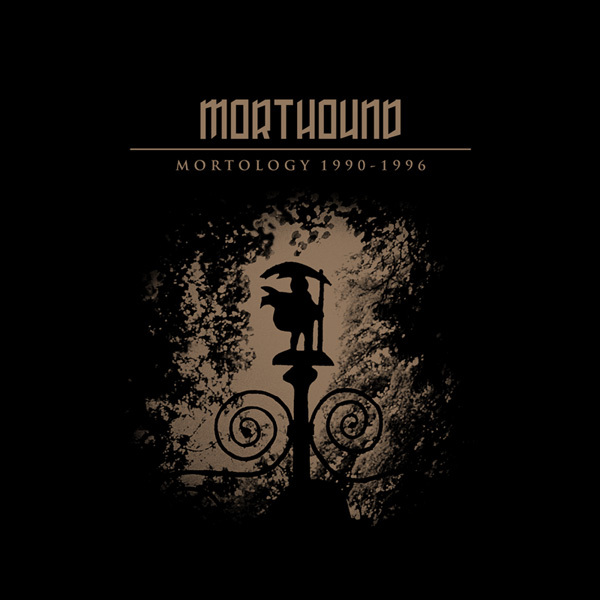 This special box set is a lavishly presented 5xCD archival release of the classic Swedish act Morthound, whom somewhat confusingly was also known as Morthond (depending on the release). Here the box set functions to re-release and re-package: the debut cassette (for the first time on CD); the main trilogy of albums released on the lauded Swedish Cold Meat Industry (CMI) label; and a further CD of scattered compositional remains. In taking an initial overview of the varied styles and sounds encapsulated within Morthound’s complete discography, with the passage of time it is abundantly clear that solo project member BJ Nilsen was a significant contributor to the development of the now recognised CMI sound. Likewise despite the extremely varied musical approach displayed between albums, the constant thread is an atmosphere of filmic and soundscape oriented compositions. ‘Death Time’ is up first, which originally was the debut cassette released on the CMI cassette side label Sound Source, and demonstrates the tentative steps of an artist finding his way. Here loose tape manipulations and smatterings of radio/ movie samples intermingle with slow ominous throbbing synths and deathly pounding industrial rhythms, and are very characteristic of the emerging ‘CMI’ style and sound of the time. Likewise ‘Anœsthetic’ and ‘Entertainment in the Desert’ with their tribal percussive thump provide vague hints at a later direction and sound of the project. Noting the initial steps taken on ‘Death Time’, a further step forward is evident on the formal debut album ‘This Crying Age’. By specifically building upon the early template, the debut album pushed Morthond’s sound into a far more refined experimental soundscape/ dark ambient style. Features 4 tracks and spanning 54 minutes ‘This Crying Age’ articulates a sonic mood of cold arctic wastelands and ominous dreamlike to nightmarish soundscapes, which are punctuated with ticking clocks, disembodied voices, programmed synths, smatterings of loose industrialised rhythms and the emergence of spare ethnic percussion and woodwind instruments. Thus with its barren arctic ambience ‘This Crying Age’ displays sparse abstract filmic styled soundscapes and at the time of its release clearly helped bed down the nordic CMI dark ambient sound. Following only a year later in 1992, ‘Spindrift’ represented a significant evolution and resulted in their tour de force album (noting that at this stage the moniker had also evolved slightly to that of Morthound). Merging experimental dark ambient soundscapes with structures that on occasion veer towards on pop-songs, ‘Spindrift’ still manages to maintain a dark undercurrent throughout. Also with the emergence of prominent world music relates influences, the album created a style which could be referred to as ‘ethno-ambient’. Here the compositions are awash with moody synth melodies/ piano movements, percussive industrial/ tribalised rhythms, female sung lead vocals (on ‘Herb of Grace’), and again with smatterings of movie dialogue samples. ‘Riverine’ represents the pinnacle of Morthound’s ethno ambient sound, being an amazing piece of mid paced Asiatic rhythmic chimes and percussion, booming tympani percussion and piano accompaniment which settles into a looped meditative groove which gradually evolves over a 17 minute expanse. In a word this track is marvelous, although somewhat oddly the track has been reordered from being the album’s opening track to that of its centrepiece. As a bonus ‘Shrivatsa’ has been added to this version (originally from the ‘Karmanik Collection’ Compilation CD), and is another absolutely transcendent ethno ambient composition of floating ritual ambience (hurdy gurdy drones, chimes, tabla and soaring flute accompaniment). With a span of a further two years 1994 saw the release of the third and final official album ‘The Goddess Who Could Make the Ugly World Beautiful’, again displaying a major stylistic shift. At the time of its release fans of ‘Spindrift’s’ ethno-ambient style were shocked by the heavy use of industrial tinged guitars, where repetitive pummeling Godflesh styled guitars and thumping program drum machines sit atop a base of dark ambient to industrial soundscapes. Whilst the guitar oriented sound of project has never been a favourite of Morthound’s around these parts, there are enough filmic dark ambient tracks on the album to make it not totally guitar dominated and in fact with guitars featured on only 3 of the 7 album tracks, referring to this as the ‘guitar’ album is slightly misleading. Of the non guitar pieces, the hazy yet brooding dark ambient atmospheres of ‘hibernation’ (complete with vague disembodied voices floating in and out of the mix), in part mirrors where BJ Nilsen would take his sound post Morthound and as displayed on the debut album ‘Lech’ issued under the Hazard moniker. ‘Syyzygy’ also sees the ‘ethno ambient’ be reprised in full guise, here with full Indian flavour evoked through tabla percussion and sampled ethic female vocals. Yet for all its outward display of stylistic diversity, the crowning achievement of this album is the concluding track ‘World End’. Being an amazing soundscape of doomy droning layers and multitude of abstract yet cinematic sound textures (unintelligible vocal snippets adding to the nightmarish edge), the track breaks out into a final segment of dark industrial tribalism with mid paced ritual drumming and wailing female vocals. Fantastic. The final of the 5 discs is titled ‘Unleashed 1990-1996’, which collects together an additional 9 previously unreleased Morthound compositions. ‘Woodstock Mayhem’ is noted to engender a freeform structure and almost industrial noise style to its distortion squall, which is clearly a differing sound for the project despite the wide variety of styles already covered. Likewise ‘Down the Hall’ provides a solid example of ominous ‘unknown lurking fear’ type of dark ambience. For the latter half of this CD are a collection of long-form sprawling, minimalist/ abstract dark ambient compositions (9-14 minutes each), some with tinges of ethno influences (ritual gong, woodwinds etc. ), others with a slight mechanised approach, which equally arcs back to the cold minimalism of ‘This Crying Age’ as much as it also mirrors several elements of the hazy swirling atmospheres of Hazard’s debut album ‘Lech’. Although this disc is slightly less focused than other albums in this set (obviously down to the multiple original sources), this is still a solid complimentary disc to bring together the remaining loose threads of the project. Where ‘Morthology’ excels is that it is far beyond being just an archival ‘completest’ release. This is an expansive and expertly realised document of all Morthound recorded output and functions as the perfect mechanism to revisit the complete back catalogue in reinvigorated packaging and sound. Listening to this set in its totality is a pleasure and is illustrative of the ripples of influence which have radiated out from the early to mid 1990’s when these albums were originally released. For old or new fans alike, your Morthound history lesson awaits.